Hey, do you want to try a new camera application? Here's the one made by Motorola! It boasts a super simple interface that's very much styled after the Google camera app circa Android Lollipop, but definitely has that modern Motorola look and feel to it. Getting it is as simple as side-loading an APK file off the internet and going to town with the camera. Unfortunately, there's always a chance of the .APK file failing to execute on your device, due to all the differences between Android smartphones. But you're still welcome to give it a try and move on to other fine camera apps if this one fails to be of service! Anyway, here's how to get things going. First things first, you must head to your smartphone's 'Security' settings and enable the installation of unknown apps downloaded from 3rd-party sources. Each device does this a little different, but the general steps are the same. Open the Settings app, navigate to the Security menu, and look for a toggle that says "Allow apps installation from unknown sources", or something like that. Enable the setting and you're ready for the next step. Head to this link or scan the barcode with a QR Code reader app to download the new Motorola Camera APK. When the download is finished, open the file straight from the notification drawer, or navigate to your Download folder via your favorite file manager app or separate Downloads app. Then go through the installation steps that follow. The Moto Camera app will show up in your app drawer, all ready to go. Unfortunately, it refused to start on our handset in particular, but this doesn't mean it won't be game for your smartphone. We can check out its features anyway, thanks to the wonderful folks at WonderHowTo! 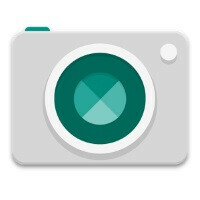 The Moto Camera interface is deviously simple. For example, you can tap anywhere to take a photo, or drag the interface up and down to zoom. By swiping to the left, you can access the camera roll, and by swiping right, you reach the camera settings wheel, which contains commonly used shortcuts like flash, focus mode, and self timer. Feeling limited by the Moto Camera's features? We're only threading the tip o' the iceberg here! See that ladybug icon in the bottom-right corner? It appears when you pull out that camera wheel and tapping it reveals two tabs of UI Settings and Feature Settings. Tweak away! What phone are you using for this Luis? Looks like maybe an LG?